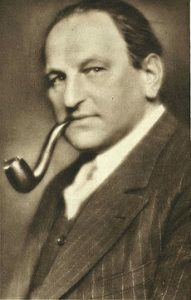 Egon Friedell (1878-1938) was an Austrian philosopher with a passion for the theatre, both as a playwright and cabaret performer. I have taken the following passage (a machine translation) from the Atlantisforschung.de(a) website to explain Friedell’s view of Atlantis. Unfortunately, Friedell was Jewish, so when, on March 16th, 1938 a few days after Austria had been incorporated into the German Third Reich, two SA men came looking for him, he chose suicide rather than arrest.